A police officer suspected of robbing a courier company in Legazpi City, Albay was shot when he engaged in a shootout with fellow cops. An ABS-CBN News report identified the suspect as PO2 Ronnie Sandrino, who is assigned in Sorsogon. According to one of the cops who responded, Sandrino fired first but he shot him in the head. The suspect was brought to the hospital where he was pronounced dead later. 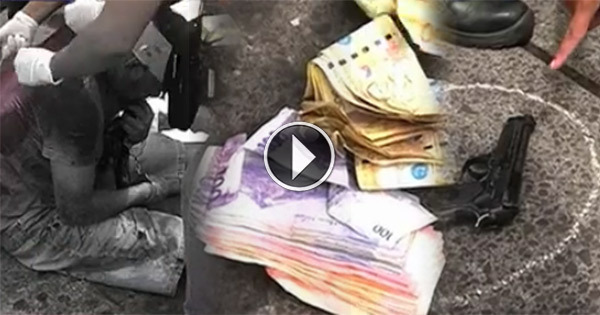 Recovered in the suspect's possession is a 9mm pistol and cash worth P11,000 which he allegedly amassed during the hold-up.